Atheist Society of Nigeria is reasonably sure you enjoyed the first article in this series. You’ve probably been looking forward to the second blog post with this title, and we are happy to not disappoint you. This article is geared towards the concept of Critical Thinking. A most intriguing concept, if you ask me. Self-directed, self-disciplined, self-monitored, and self-corrective thinking. It presupposes assent to rigorous standards of excellence and mindful command of their use. It entails effective communication and problem solving abilities and a commitment to overcome our native egocentrism and sociocentrism. “The intellectually disciplined process of actively and skillfully conceptualizing, applying, analyzing, synthesizing, and/or evaluating information gathered from, or generated by, observation, experience, reflection, reasoning, or communication, as a guide to belief and action.”, according to The National Council for Excellence in Critical Thinking. Critical thinking is deliberative and effortful, as opposed to delusional thinking which is rapid, instinctive, and non-reflective. This means flashes of intuition cannot be regarded as critical thinking. Nor can thinking that arises spontaneously be regarded as such. · Critical thinking helps in diversity education as it helps people overcome their prejudices. · Critical thinking helps in the advancement of society as it challenges deep-seated but irrational taboos and customs that militate against progress. · Critical thinking helps in business. The South African Business Magnate, Elon Musk uses The Scientific Method to guide his business decisions. · Critical thinking helps in moral development. A human being’s moral values can never transcend his current thinking abilities and cognitive faculties. · Critical thinking helps with personal fulfillment, which is the highest human need according to Abraham Maslow’s Hierarchy of Needs. 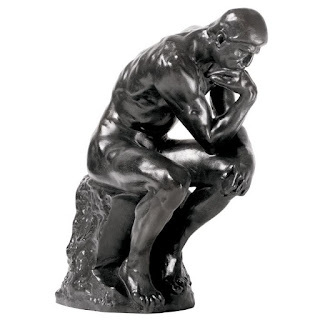 How do I set out on the path to being a critical thinker? Being a critical thinker requires self-awareness and mindfulness of your cognitive processes. Mindfulness of cognitive distortions which refer to the ways our mind convinces us of something that isn't really true. These irrational thoughts serve to reinforce negative thinking or emotions — telling ourselves things that seem rational and accurate, but actually only serve to keep us feeling bad about ourselves. This is key in being a critical thinker. It requires a lot of discipline and the willingness to be honest with ourselves. When this first step has been taken, the individual can learn to use Socratic questions to tackle any issue. Disciplined questioning that can be used to pursue thought in many directions and for many purposes, including: to explore complex ideas, to get to the truth of things, to open up issues and problems, to uncover assumptions, to analyze concepts, to distinguish what we know from what we don't know, to follow out logical implications of thought or to control the discussion. It is always a good idea to apply Socratic questioning to your own deep-seated beliefs about life, your goals, problems, dreams, concepts before you start using Socratic questioning in conversations with others. A quiet hour set aside every day for this purpose will do the trick. If you are riding on the bus, waiting for an appointment, taking a time out at work… you can open the Socratic questions link on your mobile device or on your laptop to practice them. This is because critical thinking entails the habit, based on intellectual commitment of applying the skills you acquire in this article to guide your behavior. Which other method of critical thinking do you know of? Remember to like, share across your social media platforms, leave your insightful comments and bookmark for future reading.